Park Boulevard – a new illuminating landmark coming soon to Surrey Central real estate market. Setting a new benchmark, Park Boulevard Surrey condos is the first tower in the city with a signature interactive light display located in one of the largest and most central integrated transit community. Located within Concord Pacific’s Surrey Park Place Community, Park Boulevard Surrey Condos is the newest phase of this community, ideally situated neighbouring the King George SkyTrain Station. 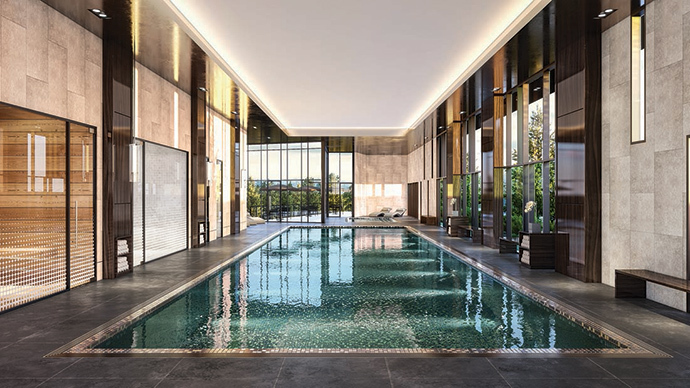 Enjoy superb proximity to shopping, urban conveniences, transit, open green space such as Holland Park and Quibble Creek and brilliant access to resort-style amenities. The presale Surrey Park Boulevard condos is easy to travel to and from anywhere in Metro Vancouver. Located adjacent to the King George SkyTrain Station, residents in this landmark condominium tower can get in and out of Surrey with ease and efficiency. A short stroll to the SkyTrain Station, 22 bus routes within walking distance, 8 minutes drive to the Port Mann Bridge and steps away from the proposed future Light Rail Transit system, it’s all about convenience and access at Park Boulevard Surrey Central Condos. This is where and how we want to live now, and in the future. In addition to more than 30,000 square feet of planned retail space within the Park Place Plaza, directly adjacent to Park Boulevard condos is the HUB at King George Station, home to the new iconic new Coast Capital Savings Headquarters. This landmark location will continue to evolved in the next downtown core of Surrey, adding over 760,000 square feet of LEED Gold, transit oriented office and multi-storey retail space to the neighbourhood. 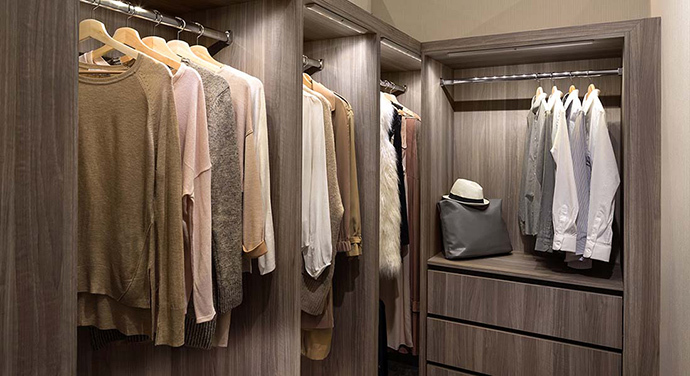 Surrey’s Central City Shopping Centre is also just eight minutes walking distance from the new Surrey Park Boulevard condos, where an array of shopping, dining and entertainment options await. Asian growers such as T&T Supermarket, fashion boutiques, restaurants, bars and other specialized services are all a stone’s throw away. Despite being located in the heart of Surrey’s downtown core, open spaces are never far away from Park Boulevard Surrey. Parks, wetlands and forest are sanctuaries for the city’s ecosystem and private year round hiking and biking options for outdoor enthusiasts. An incredible range of parks, forests, walking paths, biking trails and sports facilities are close by. In every direction, relaxation and recreation are within reach. In addition, one of Canada’s top universities, Simon Fraser University Surrey Campus is a short walk way from Park Boulevard Surrey Central condos. A number of elementary and college universities are also within a three kilometre radius. 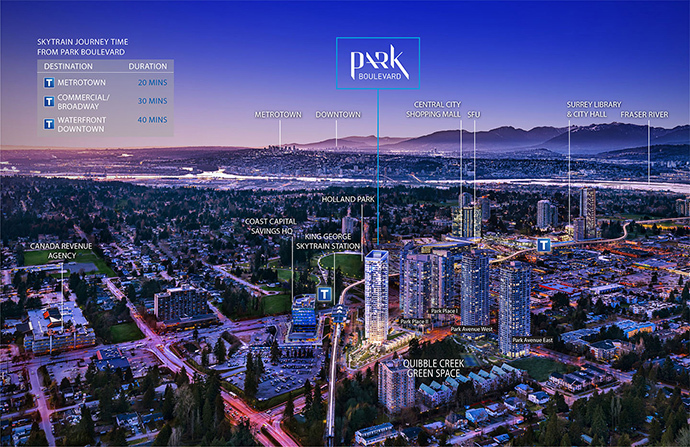 Park Boulevard condos in Surrey City Centre is right in the heart of the most dynamic urban precincts. Entertainment choices are found in every direction. Throughout the year, the city hosts an array of cultural, community and music events at the nearby Holland Park and Surrey’s City Centre Plaza. From the popular Movies Under The Stars outdoor summer movie nights and concerts at Holland Park to the annual Christmas Tree Lighting Festival at Surrey’s City Hall Plaza, there is always a new event, attraction or cultural occasion waiting to be discovered. 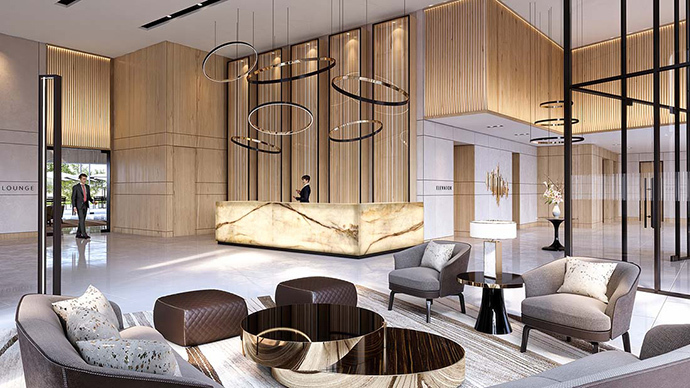 Located in Greater Vancouver’s most central transit hub, adjacent to the King George SkyTrain and future Light Rail Stations, PARK BOULEVARD is the next premier tower coming to Concord Pacific’s largest community in Surrey City Centre. Poised to become Canada’s first interactive illuminated residential tower, PARK BOULEVARD will be Concord’s next skyline defining landmark. Steps from the City’s Holland Park, Central City Mall, SFU’s expanding Surrey Campus, Coast Capital Help Headquarters and Surrey Innovation Boulevard, there is no better opportunity to invest than in the fastest growing urban centre in Metro Vancouver. 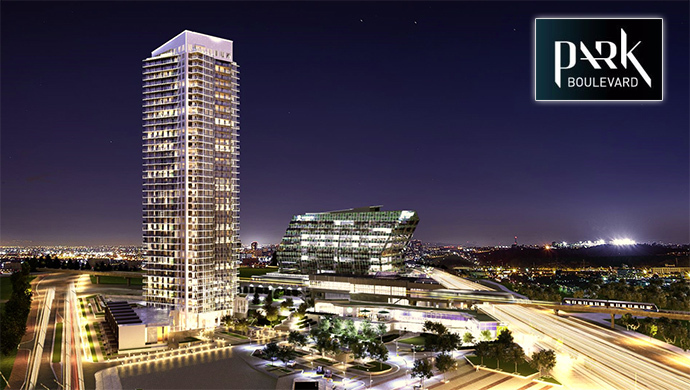 CANADA’S FIRST INTERACTIVE, ILLUMINATED RESIDENTIAL TOWER. Concord Pacific’s latest premier tower, PARK BOULEVARD, is Canada’s first interactive illuminated residential tower poised to become another city centre skyline defining icon. Park Boulevard tower’s distinctive interactive light display illuminates in sync with the arrival of trains at King George Station. 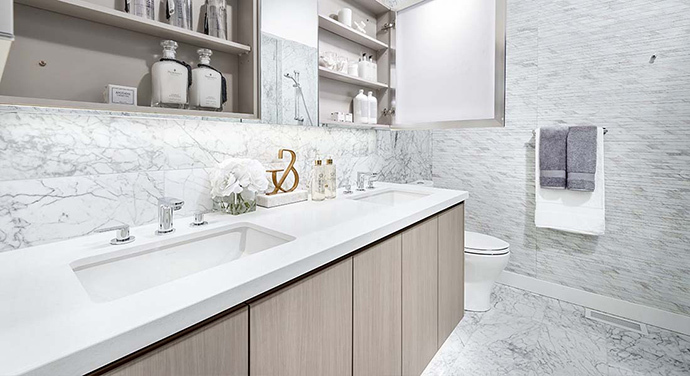 A new landmark, setting a new benchmark for modern BC condo living. 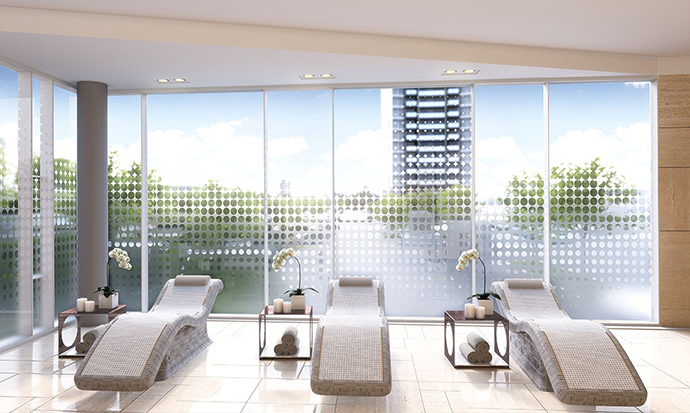 Get access to the pool, tepidarium, steam room, sauna, experience shower and sundeck at the Boulevard Spa. Host a friendly tournament on the badminton court. Train at the fitness centre. Relax at the sports lounge. Work from home without the hassle, with the on-site business centre. For year round comfort, central heating and cooling is included in all homes at Park Boulevard. Let the days unfold before you and enjoy tranquil sunrises to stellar nighttime panoramas from your spacious balcony. 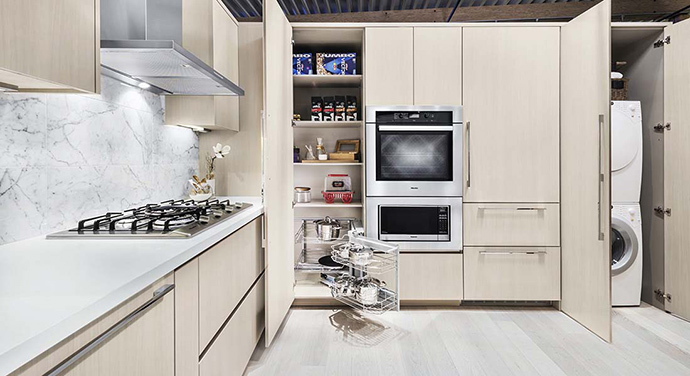 Every home is complemented by tastefully designed kitchens with European appliances, custom wood-grain laminate cabinetry, ample shelving and storage space and custom-design drawer organizers. Select from a range of 1, 2 and 3 bedroom sample floorplans below. Plans may vary based on layout. Please contact your sales representative for more information. CONNECTED TO EVERYTHING, CLOSE TO HOME. Located in Surrey’s most centrally integrated transit community, Park Boulevard is connected to the SkyTrain, thriving workplaces, parks, entertainment, services and shopping. Enjoy more than 20,000 square feet of retail at Park Place Plaza and the new downtown hub at King George Station. LINKED TO BC’S FIRST LIGHT RAIL TRANSIT SYSTEM. Get anywhere efficiently from Park Boulevard, with connections in every direction. 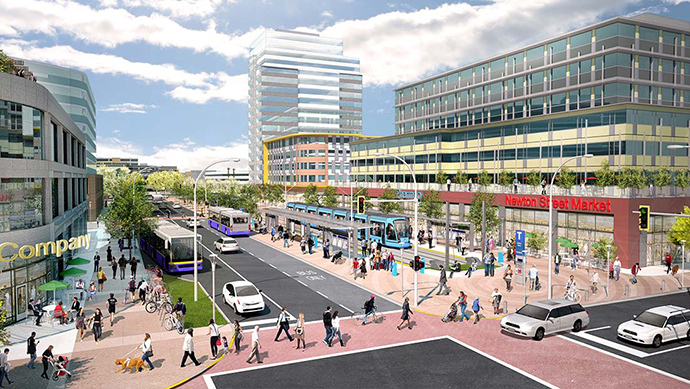 Easily access the SkyTrain, 22 bus routes within walking distance, and the future King George Light Rail station only steps from your door, giving everyone greater mobility, with or without a vehicle. Within a 12 kilometre radius of Park Boulevard, jobs abound for thousands of professionals in health, medical, science, technology, finance, education and civic service. Every year Surrey welcomes over 10,000 new residents and on average 6,000 new jobs are created annually, adding to its growing resident labour force. Surrey is also headquarters central, attracting many high quality company headquarters to its downtown core. A WORLD OF SHOPPING AND ENTERTAINMENT. Park Boulevard is surrounded by shopping, dining and entertainment options to suit anyone’s tastes. Surrey’s Central Shopping Centre, Asian grocer T&T Supermarket, plus an array of bars, restaurants and specialized services of every kind, are all within a short 10 minute stroll. Park Boulevard is located in a well-planned community for education with excellent daycares, schools and top universities all located within a 3 kilometre radius. A brand new SFU Sustainable Energy and Environmental Engineering building, made possible with $126 million investment, will enhance Surrey’s aspirations to become a technology hub. In addition, the Kwantlen Polytechnic University expansion into Surrey’s City Centre will add an additional 30,000 square feet of education facility envisioned to bring upper-level business courses and other quality post-graduate programs to the region. At Park Boulevard, forests, trails, parks and other natural sanctuaries are right around the corner. Outdoor enthusiasts have easy access to hiking, walking and cycling trails year-round, plus dozens of green spaces to wander through, or simply kick back, relax and appreciate. Helping move the city forward to a greener future, Park Boulevard will be the first residential building in Surrey with electric vehicle charging outlets standard in 50% of residential parking stalls.